BU Canada Programmes - Ballsbridge University , Quality Accredited Education, Promoting Lifelong Learning and research,MBA, PhD. DBA. ..
, Metaphysics and consciousness studies. Dr Raul has published several researches in consciousness studies . He is a Member of the Canadian International Metaphysical Ministry. 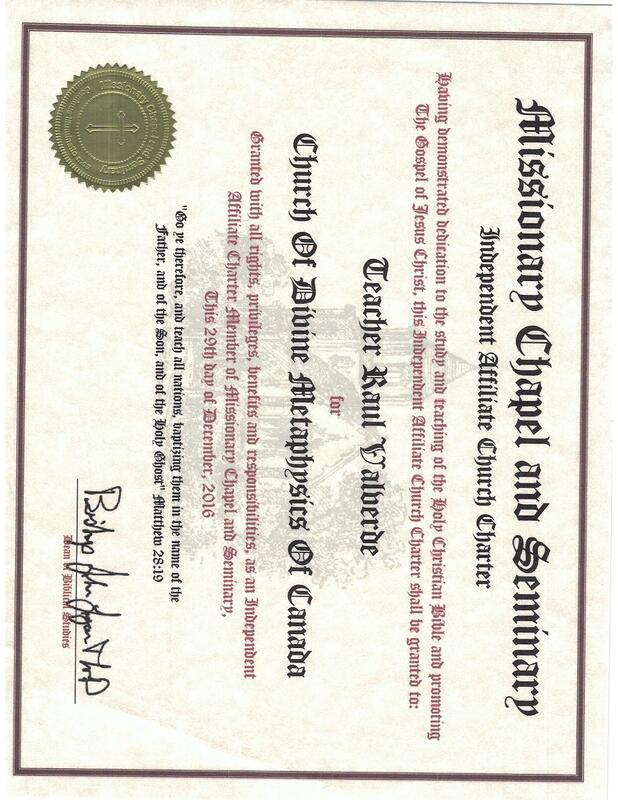 The program is offered by Ballsbridge University through the Church of Divine Metaphysics of Canada. Ballsbridge University is a private University chartered by the commonwealth of Dominica with accreditation framework regulated by Board of Quality standards International which is signatory body of CCLP worldwide education charter with consultative status with UN economic council. The Church of Divine Metaphysics of Canada that is a metaphysical church registered in Montreal Canada that is registered with the Canadian International Metaphysical Ministry (http://churchofdivinemetaphysics.com). 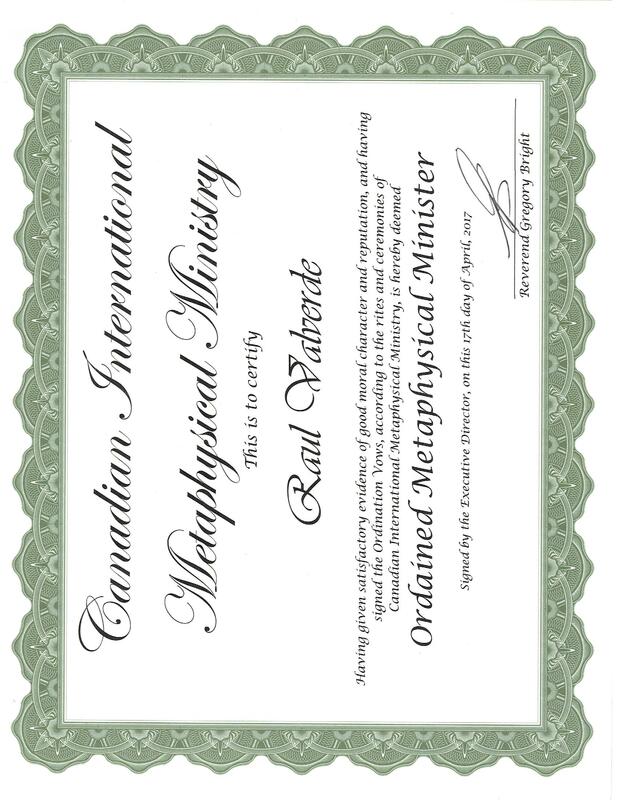 The program is accredited by the Canadian International Metaphysical Ministry (CIMM) (http://www.canadianmetaphysicalministry.com/), graduates of this programs can apply for an ordained minister license with CIMM and will be allowed to perform wedding ceremonies in several provinces in Canada and perform other ministry services such as spiritual counseling. Ministers members of the Canadian International Metaphysical Ministry (CIMM) are also eligible for associate membership with the Canadian Humanistic and Transpersonal Association (http://www.chata.ca/) and have access to practice insurance for those interested in public practice as a metaphysical counselor. The possibility of a dual award exists with the Business University of Costa Rica (Universidad Empresarial de Costa Rica) that is a private university in the city of San José, Costa Rica approved by the Consejo Nacional de Enseñanza Superior Universitaria Privada, the national council of higher education of Costa Rica, to award degrees and also with POMA International Business University that is recognized by the Republic of Benin. Admission requirements: Bachelors degree, mature students without Bachelor’s degree that can demonstrate the capacity to conduct academic work can also be considered. Students with previous studies in Metaphysics, Spiritual Studies, Philosophy and Religion might be given exemptions for up to 5 modules in the program. Basics of principles of metaphysical and spiritual truth. The course introduces the power of the prayer, intuition and divine guidance. Metaphysical thought for problem solving. God or Universal Mind and Man’s unity with Good. Right thinking as a way to create a reality of an harmonious life. Creative mind and man’s power. The objective of existence and how to correct evil. Natural law and how it works, the correct application of spiritual laws and how they can lead to success on every plane. This course attempts to unfold the real self to the student in order to connect the individual with the Universal Life and Power, enabling the person to manifest that power in his or her own life. The course introduces the concepts of the kingdom within, right thinking, meditation, living in the present time, emotional control, law of non-resistance, law of giving, faith, love, mission in life, how to reach peace, health and happiness, metaphysics of success, Christ consciousness, wisdom and reaching perfection. This course offers a history of religion from the earliest known periods up to Christianity. The course offers comparisons of various belief systems. The subject is treated from a broad-minded point of view in an effort to look for the basic truth upon which each religion was founded and to note the similarities and differences among them. An understanding of the older religions offers the student a better comprehension of Modern Thought. Knowledge of religious history helps the student gain consciousness of the Universality of all Truth. Understanding of other religious beliefs fosters a better understanding of other individuals, nations and races. It prepares the Ordained Minister to go forth as an educated minister in this age providing the knowledge needed when speaking with people from various religions. Structures of the brain. Neurons and neurotransmitters: their functions and classes. Biofeedback. Brain activity. Consciousness theories: Neurotechnical theory, Quantum theory, Skeptical theory. Psychology as a tool for personal growth. The personality. Motivation and their classes. The structure of the personality and the states of the self. The body dimension. Energy coding. The Chakras. Affection. Effective levels. Emotional maturity. Cognitive processes. The construction of reality. Images and fantasies. Creativity. Human behavior. The vital fluency. This course is for the person that wants to have an overview of the psych phenomena, evidence of its existence and how to develop it. It explores life and death issues including near-death experiences, reincarnation, evidence for consciousness remaining coherent after death, the role of belief in paranormal phenomena, remote viewing, psychokinesis (PK), Electronic Voice Phenomena (EVP), akashic records, telepathy, empathic ability, mediumship, all the "clairs" (clairvoyance, clairaudience, etc.) and more. You will use meditation and visualization exercises to develop or enhance your own intuitive and psychic abilities with audios. This course will also introduce the use of Electronic Voice Phenomena software for spiritual communications. The course includes free software and will demonstrate how you can create spiritual communications sessions with your own computer. For the second part of the program, the student has the option to specialize in Theology, Transpersonal Counseling, Parapsychology or chose a general option that allows the flexibility to take electives from both specializations. A student is required to take 4 modules for this second part of the program, the Theology specialization consists in the completion of at least 3 modules from this area, Transpersonal Counseling specialization requires the completion of at least 3 electives from this are and the Parapsychology option requires the completion of Electronic Voice Phenomena and Spiritual Communications, Quantum Physics and Consciousness, Altered State of Consciousness and Healing therapies and Clinical Parapsychology. The student is required to complete a masters thesis taken from an area of specialization or in a general area of consciousness and transpersonal studies in the case of students that do not chose to specialize. This module covers numerous aspects of pastoral care for the Ordained Minister, including a Spiritual approach to Church Lectures, Communion, Marriage and Baptism Services, and Funerals and Memorial Services. In recent times, several modern revelations have been released in order to help humanity to have a better understanding of consciousness, evolution, spirituality, God and the Universe. The course examines three revelations: The Urantia Book, Book of Miracles and the Aquarium Gospel of Jesus Christ. The Urantia book is a spiritual and philosophical revelation from the spiritual world that aims to unite religion, science and philosophy. The book of miracles was written, or "scribed," by Helen Schucman, who claimed that it had been dictated to her word for word via "inner dictation" which came from Jesus, the course contains a curriculum to bring about what it calls a spiritual transformation. The aquarium gospel of Jesus Christ is a book by Levi H. Dowling that transcribed the text of the book from the akashic records of Jesus Christ, the gospel is a purported compendium of mystical knowledge encoded in a non-physical plane of existence. Gnosticism teaches you to reach the divine by knowledge and not by dogmas. Gnosticism teaches that a fraction of divine is within and this can help man to resist and overcome evil. Gnosticism teaches that eternal life is obtained through knowledge of the Divine that is within. This course explores the gospels of Mary Magdalene, Judas and St Thomas and links them to the metaphysical aspect of Christianity. This course overviews the historical and philosophical strand of the Christian Philosophy. It addresses the ideas of religious development of the Jews, Christianity up to 400AD, the Church Fathers, Saint Augustine, the state of affairs during the papacy in the dark ages, and continues up to the thirteenth century. Philosophers of this era such as Saint Thomas Aquinas and the Fransiscans will be discussed. This course explores quantum theory, the human mind and consciousness, and includes quantum physics principles, non-locality of the mind, quantum entanglement, the uncertainty principle, causality and synchronicity, quantum mysticism, holographic universe, and global and super consciousness. Upon completion, you will have a much better understanding on how quantum physics can help to explain the human mind, consciousness, and the nature of reality. Altered states of consciousness cover transpersonal experiences that involve an expansion of consciousness beyond the limits of time and space. Altered states of consciousness allow us to answer the questions of who we really are and why we are here. Topics include: Shamanism: Its spirituality and intuitions. Channeling. Hypnosis: Meaning and utility. Hypnotic regression. Altered states of consciousness at the time of death. Special emphasis will be given to Holotropic therapy. Holotropic therapy has been practiced by psychologists as a way to produce an altered state of consciousness without drugs, it is a simple yet powerful technique based on combined insights from modern consciousness research, depth psychology and perennial spiritual practices and activates non-ordinary states of consciousness which mobilize the spontaneous healing potential of the psyche. Stress, anxiety and attention deficit disorders have been associated with the lack of synchronization of the brain hemispheres. For decades, binaural sound beats have been used to synchronize the brain hemispheres, and as a tool for psychic development, including telepathy, telekinesis and clairvoyance. Discover how the use of binaural beats and similar techniques can help with the development of telepathy, mediumship and telekinesis, as well as with the reduction of anxiety and stress, and to improve learning ability. The individual consciousness and the universal consciousness. Intuition. Depression concept. Neuroses in the context of the new psychology. The essential values. Psychoses in the context of perennial psychology. Psychotherapy of depressions. Antidepressant Philosophy From humanistic to transpersonal psychology. The spectrum of consciousness and the Atman project, according to Ken Wilber. Specific topics include: The nature of reality, the dawn of a new paradigm, dimensions of the human psyche, cartography of the interior space, the world of psychotherapy, towards the integration of approaches the architecture of emotional disorders, dilemmas and controversies of traditional psychiatry, new criteria about the therapeutic process, new perspectives in psychotherapy and self-exploration, the global crisis in the present and the future of the evolution of consciousness. Learn how to use Electronic Voice Phenomena software for spiritual communications. Course includes free software and will demonstrate how to create spiritual communications sessions with your own computer. 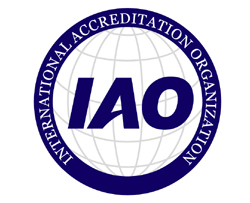 Duration of the Programme is one year without exemptions. Dissertation - 40000 words in any related topic acceptable to the dissertation committee.